A Certain Magical Virtual-On, Yakuza: Kiwami 2, and more. 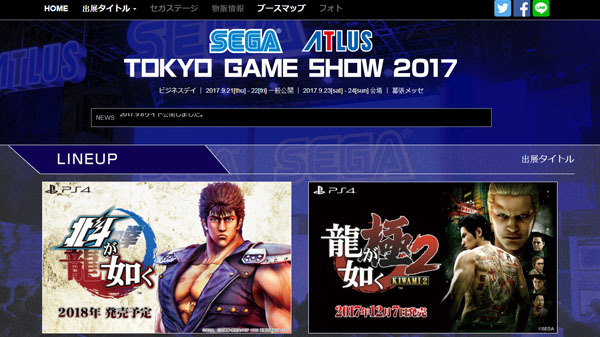 Sega has opened its official Tokyo Game Show 2017 website and announced the lineup of games it will bring to the event. Steins;Gate Elite is also listed for Switch on Sega’s Tokyo Game Show 2017 website, however, 5pb.’s website nor http://steinsgate.jp/elite/Steins;Gate Elite‘s teaser website has no mention of a Switch version. This was likely an error on Sega’s part.